A New Housewife Made Her Debut On ‘Real Housewives Of Atlanta’ Last Night! 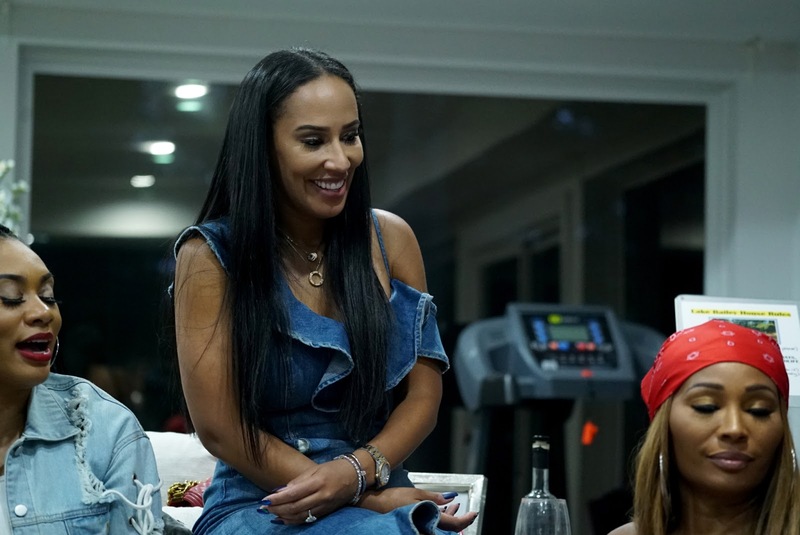 Last week, the Real Housewives of Atlanta welcomed a new star, Shamari DeVoe of the R&B group Blaque and the wife of New Edition legend Ronnie DeVoe, and last night, another new cast member made her debut! Businesswoman Tanya Sam will be stepping foot into the ‘RHOA’ world alongside Kandi Burrus, Nene Leakes, Porsha Williams, Eva Marcille and Cynthia Bailey. But who is Tanya Sam? Sam is the Director of Partnerships at TechSquare Labs, which is “a technology startup hub and venture capital fund,” according to her website. Sam is also the co-founder of BuiltxWomen, which helps female entrepreneurs start their businesses. She is also on the Board of Directors for Kate’s Club, an organization that helps children who have lost a parent or a sibling. With a Bachelor of Science in Genetics and Cell Biology from McGill University and a Bachelor of Science in Nursing from The University of Toronto under her belt, she has practiced in some of the top oncology hospitals in the U.S.
Sam, who is a Toronto native, is engaged to investor and entrepreneur Dr. Paul Judge. Sam seems to be excited about being a part of the cast and plans to stir things up a little. Did you watch last night? What did you think? !